I still have yet to see another city that does the holidays better than New York City. I mean...it’s practically iconic to be in NYC during the Christmas and New Years season. Isn’t it? 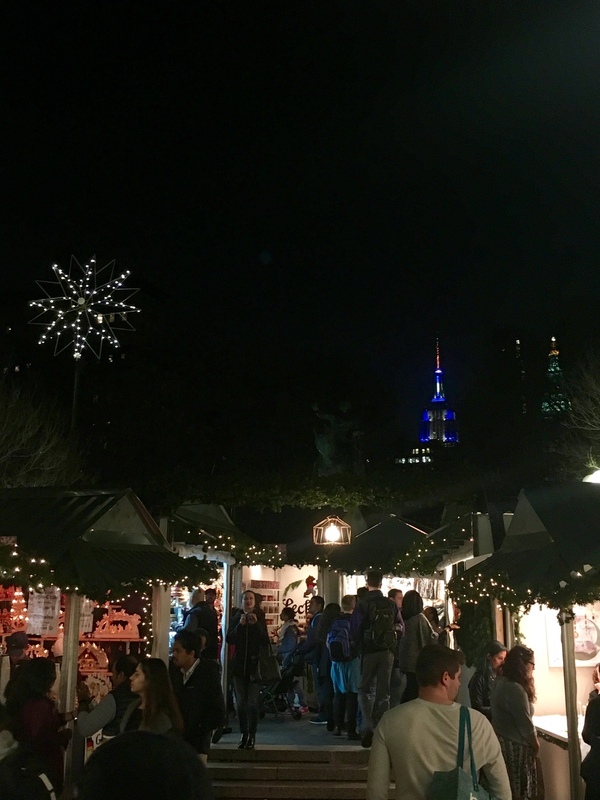 If you find yourself lucky enough to be in the Big Apple during the holidays, here is how you can spend your weekend to make sure you’re seeing the best holiday goodness NYC has to offer. 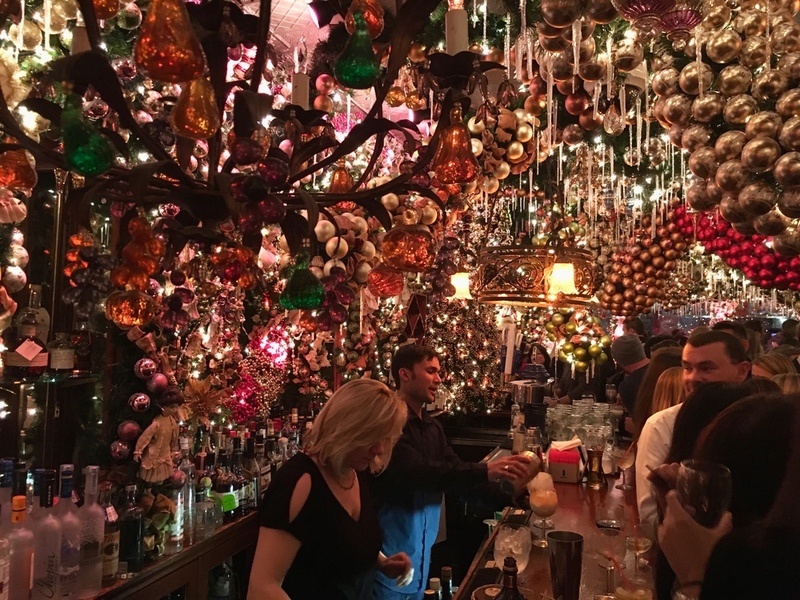 Almost every bar in New York City will throw up a few decorations for the holiday season and call it a day. THEY ARE AMATEURS. If you want a real holiday experience, head straight to a Christmas themed bar and see what real Christmas bar decor looks like. MY FAVORITE: Rolf’s German Restaurant (281 3rd Ave.). Try the boozy eggnog! Be aware that it gets very crowded during the holidays; so either make a reservation or just know that you’ll be standing shoulder to shoulder at the bar. GREAT SPOTS: Pete’s Tavern (129 E. 18th St.), Lillie’s Victorian Establishment (13 E. 17th St.), Molly’s (287 3rd Ave.), and Colicchio and Sons (85 10th Ave.). 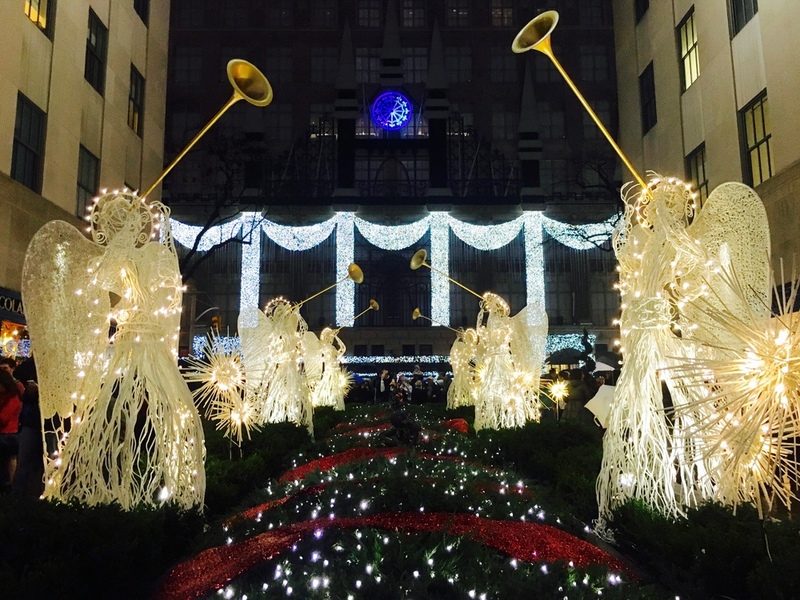 The ambiance around Rockefeller Center is spectacular during the holidays. 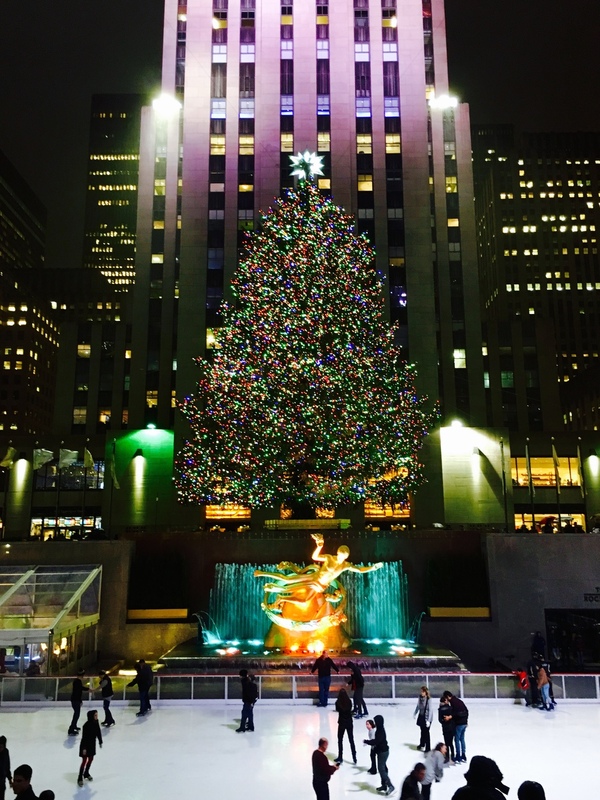 You can see the gorgeous tree, head up to the Top of the Rock, Ice Skate, see St. Patrick’s Cathedral, shop around the area, and see the Saks Fifth Avenue music and light show (this is a must see)! 1. If you can manage to go to the tree late at night or when it is raining, GO! Seriously, you will beat the crowds, get better pictures, and get around easier. 2. The tree is lit up until 11:35pm; so plan your trip accordingly. Go late, but not too late! 3. You can ice skate in the plaza, which is a wonderful experience...But there are other spots in the city that ice skating is free and the lines are shorter... Just sayin’! 4. Another perk of going at night: Turn around and look at the music and light show that Saks Fifth Avenue puts on. It is so cute! I don’t know if it gets any cuter than the little holiday kiosks at the markets around town. 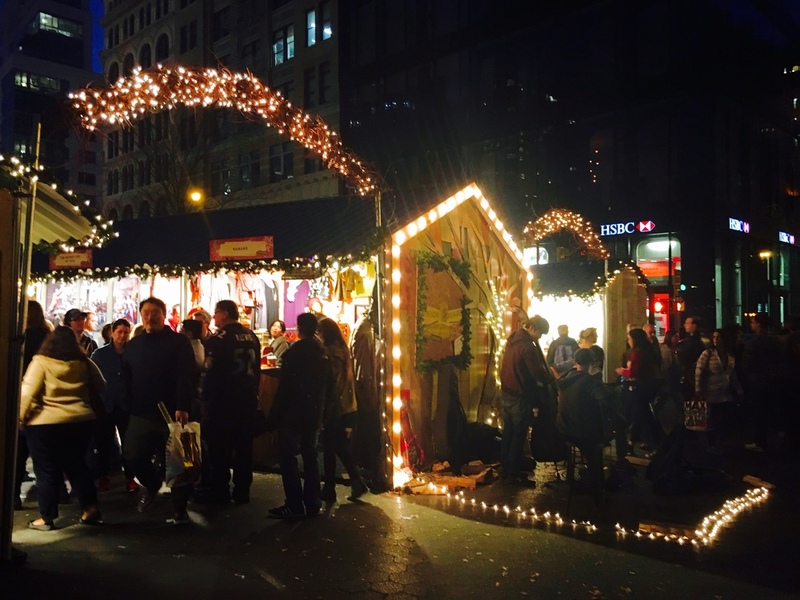 Around the holiday season, small pop-up shops begin to open up around the city at these holiday markets. You can find anything from local goods, to food, to drinks, to art, to clothing, and so much more! It is really amazing to see, even if you don’t buy anything. 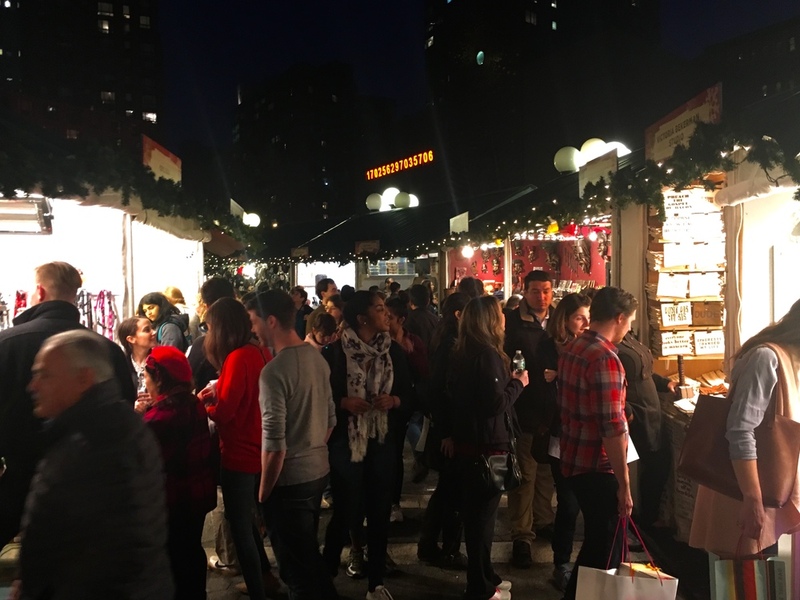 GREAT SPOTS: Bryant Park Holiday Market, Columbus Circle Holiday Market, Chelsea Market, and Grand Central Station. Ice skating in NYC during the holiday is just as iconic as anything else in the city. There are multiple places around the city to enjoy this activity, but I prefer the places that don’t cost an arm and a leg to get in. MY FAVORITE: Winter Village at Bryant Park. General admission is FREE! If you need to rent skates, it costs $19 during the peak season ($15 otherwise). You can rent a locker for free, purchase a lock for $9 if you need (bring your own if you can), or you can check your bag for $8-10 as well. FASTPASS is available for purchase both online and on-site (around $22-28) so you can skip the lines. GREAT SPOTS: The Rink at Rockefeller Center ($32/ ticket + $12 skate rental) and Wollman Rink at Central Park ($11.25/ticket + $8 skate rental + $11 lock rental—cash only!). Ticket prices will vary depending on peak seasons and if you have children or seniors with you. No one does holiday windows like New York City. 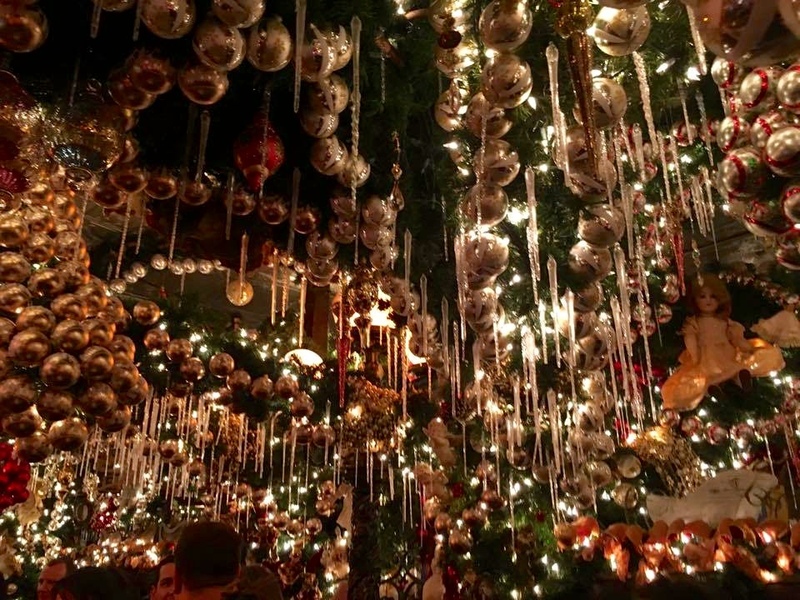 There are so many great places in the city to see festive holiday decor. The hardest part is looking without wanting to buy everything! 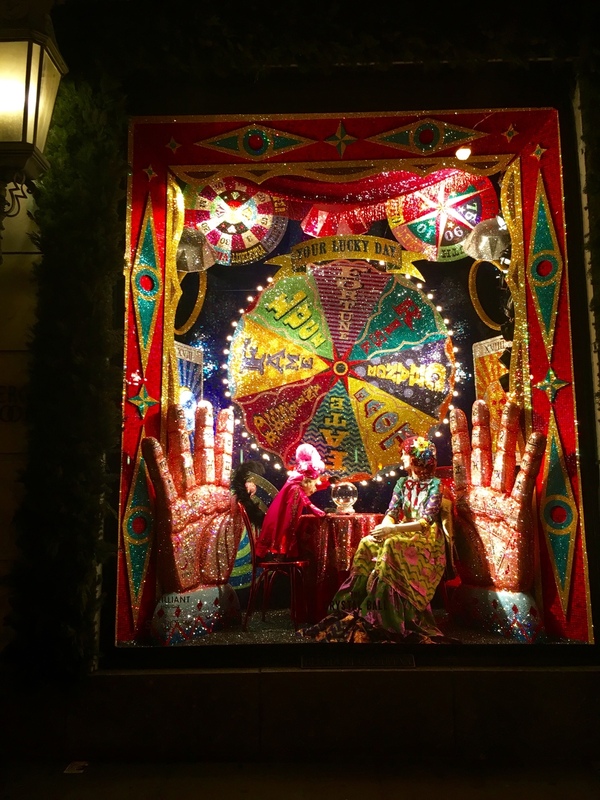 MY FAVORITE: The windows at Bergdorf Goodman. Hands Down. 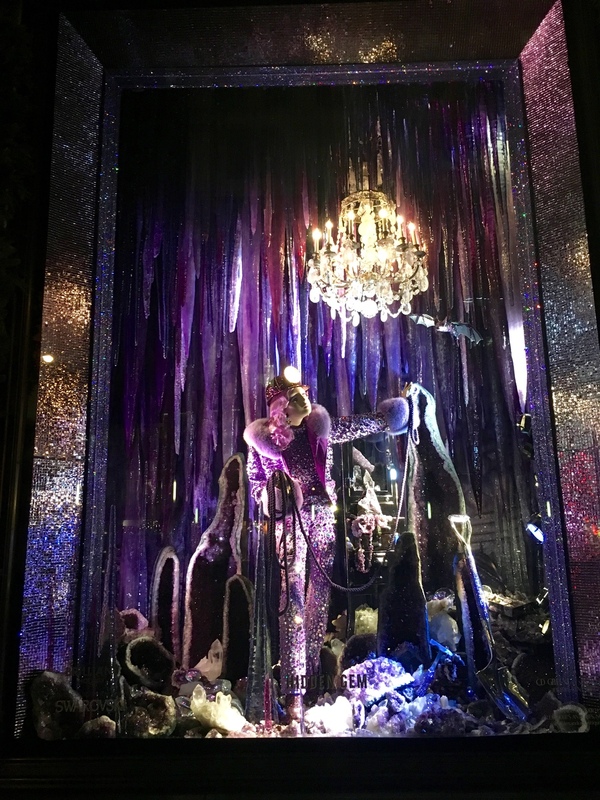 If I had to crown a winner of all the windows, it would probably be Bergdorf’s (although the music/light show at Saks is definitely amazing...). Their window displays never cease to amaze and you will not be disappointed. 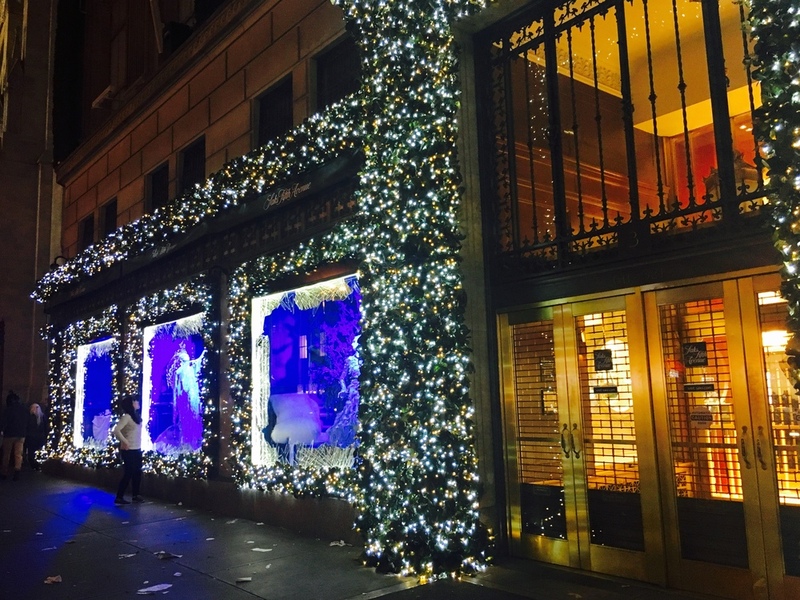 GREAT SPOTS: Anywhere along 5th Avenue (Saks, Tiffany’s, etc. 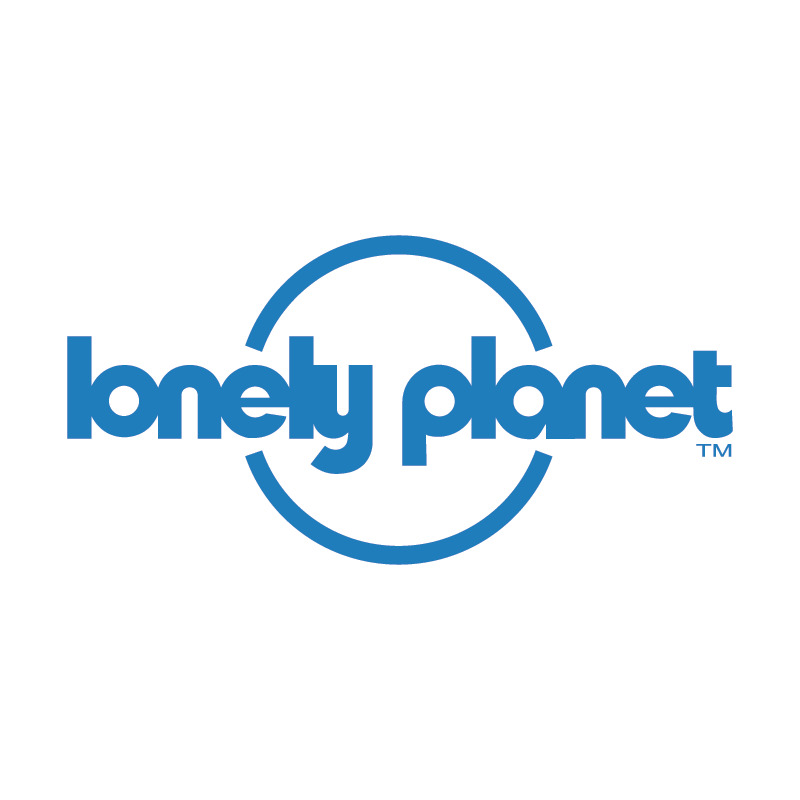 ), Macy’s in Herald Square, and anywhere down in SoHo (start around Broadway and Houston and work your way around). There are tons of beautifully decorated (and giant) trees around the city. If you want to skip out on the crowds at Rockefeller Center, consider going to some of the other ones to catch the view. MY FAVORITE: The Madison Square Park tree. It is right next to the Flatiron Building, so if you hit the right angle, you can get both beauties in a photo. I love to grab goodies at Eataly across the street and eat them in the park here! 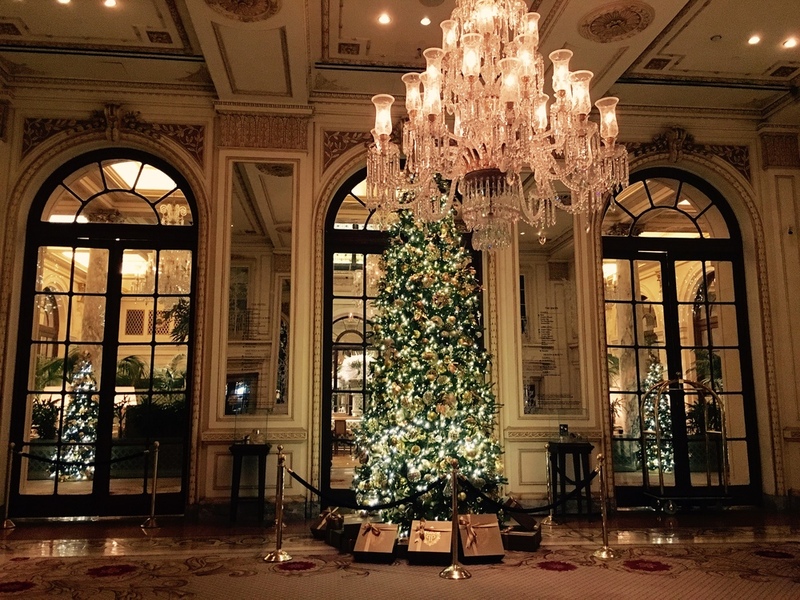 Channel your inner Kevin McCallister and hang out at The Plaza Hotel (768 5th Ave.). You can “oooh” and “awww” at the beautiful lobby, or make a reservation to eat at one of the dining establishments there. 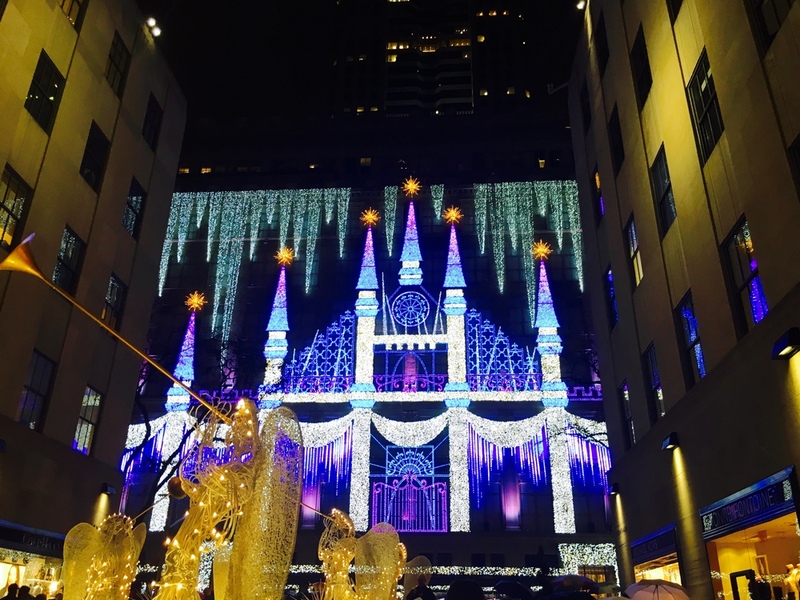 A holiday visit to New York isn’t complete without catching a spectacular show. There are so many options in the Big Apple, so just find one that fits your budget! 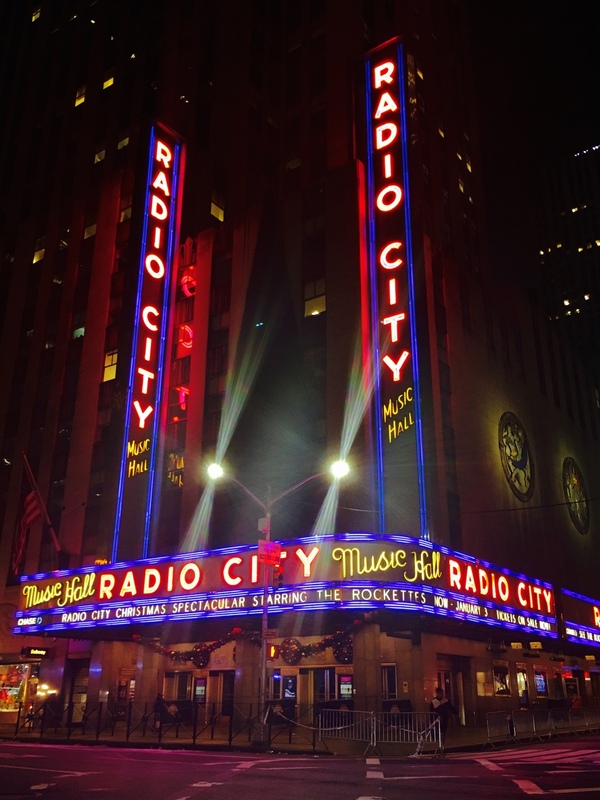 MY FAVORITE: The Rockettes at Radio City Music Hall. The Rockettes just totally embody the holidays and the shows are consistently amazing. You have to see it at least once in your life! There is gorgeous holiday decor all over the city, so you really can’t go wrong with whatever you choose. Most places have lovely lights, displays, and music to put you in the holiday mood. MY FAVORITE: The giant red Christmas ornaments outside of Radio City Music Hall. Go late at night for less people and better pictures! 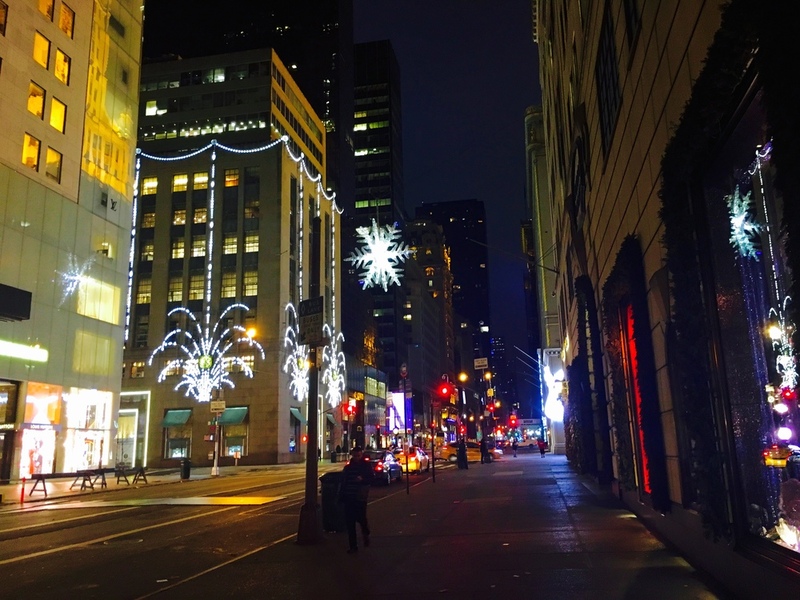 GREAT SPOTS: The huge trees around the city, window displays through 5th avenue, the giant snowflake above Tiffany’s & Co., and the Macy’s displays. Ok, so I know this is incredibly touristy, but really...isn’t it secretly on all of our bucket lists?! So I’m ending my NYC holiday list with this final thing. Seeing the ball drop in Times Square is just about as iconic as the location itself. It is something to try out at least once in your lifetime. The energy, the lights, and the spirit in the air! Why not?! As long as you are with people you love and care about this holiday season, whatever you do (especially in New York City) is bound to be a blast!